Trucking accidents generally cause injuries and damages to multiple victims. In Utah, some commercial big rig trucks, 18-wheelers and others, have caused serious injuries and even deaths in truck accidents. A Utah trucking accident attorney from our firm can help if you have been injured in a trucking accident. In some instances, commercial truck drivers fall asleep at the wheel or involved in drinking and driving. The injuries that derive from such accidents are generally much more serious than those in other accidents which is why you would need a Utah trucking accident attorney to fight to get you the compensation you deserve. 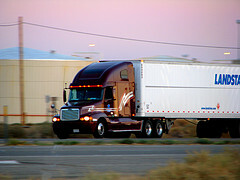 In some other cases, trucking accidents are a result of defects in the truck. Commercial vehicles traveling at high speeds can cause devastating damage to other vehicles. When big trucks are involved in a high speed accident on the freeway or other roads, often serious injuries or fatalities result, requiring the services of a Utah trucking accident attorney. To protect you and all of us on the road, most commercial trucking companies carry policies to cover the potential high damages that can result from truck driver’s negligence. What are your options for you and your family if you have been involved in a trucking accident? At Salcido Law Firm, an experienced Utah trucking accident attorney will offer guidance, legal advise, and effective representation to help ensure you and your family are properly compensated for your injuries from a trucking accident. Our personal injury lawyers can help you and your family though the legal process of obtaining reasonable compensation and protecting your rights. Semi-truck drivers are specially trained to operate the large dangerous machines they operate. However, some drivers fail to take the necessary measures to ensure the safety of others on the road. Additionally, other drivers do not follow basic safety precautions when driving around semi-trucks. When the most dangerous actions a truck driver can take is to speed in a semi-truck. Semi-trucks are obviously harder to stop and control. Speeding increases the chance of a catastrophic injury or fatality. Neglecting to properly check blind spots. Passing a semi-truck can be nerve racking especially during dangerous conditions such as snow or rain. Many of us have found ourselves in the unfortunate circumstances where a big truck has pushed us into another lane, into the median, or even off the road because the truck driver failed to see our vehicle in the lane. A truck driver may be negligent in taking a wide turn that causes injury or even death to others on the road. Because of their size, a truck must take an unusually wide turn under some circumstances. If the truck driver is not careful, such a turn may result in impact and injury to others. Contact us today to meet with us for a free consultation. You do not have to go through the process alone. 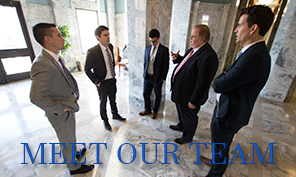 A Utah trucking accident attorney from our firm will act as your advocates to help you get the best solutions to your case possible. Call us today to schedule a free consultation and Get Protected! 801.413.1753 or toll free at 888. 337.3235. or send us an email.